The third edition of this classic introduction to archaeological theory and method has been fully updated to address the burgeoning of theoretical debate throughout the discipline. Ian Hodder and Scott Hutson argue that archaeologists must bring to bear a variety of perspectives in the complex and uncertain task of constructing meaning from the past. While remaining centred on the importance of hermeneutics, agency and history, the authors explore cutting-edge developments in areas such as post-structuralism, neo-evolutionary theory and whole new branches of theory such as phenomenology. 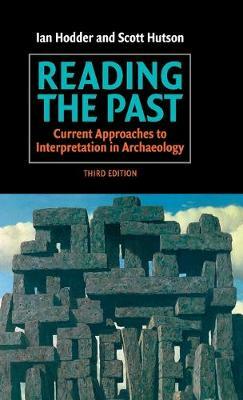 With the addition of two completely new chapters, the third edition of Reading the Past presents an authoritative, state-of-the-art analysis of contemporary archaeological theory. Also including new material on feminist archaeology, historical approaches such as cultural history, and theories of discourse and signs, this book represents essential reading for any student or scholar with an interest in the past.